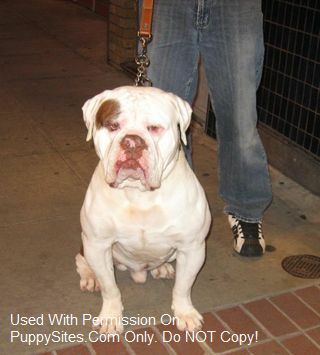 Imagine a massive, powerful bulldogge full of courage with a stoic facade that easily gives way to goofy playfulness. Bred for large size, strength, health, structure, and vigor, my bulldogges are bred specifically as home companions and are solid, stable, and trustworthy despite their beastly proportions. All puppies are super cute and fun, but they only stay pups for a fraction of their lives. We health and temperament test our breeding stock to ensure your pup becomes an exceptional adult.